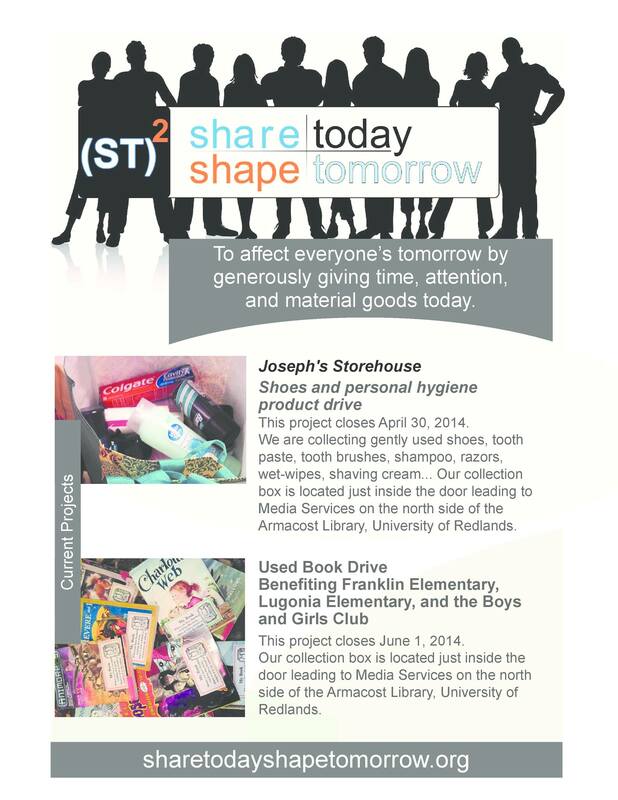 Our Goal: To affect everyone’s tomorrow by generously giving time, attention, and material goods today. Being good is hard work! It doesn’t take much to create a habit of generosity, but sometimes one’s personal concerns loom so large in one’s imagination that it crowds out any positive thoughts about one’s fellow human beings. I give thanks for the people in my life who inspire and encourage me to be better. They are among those whom I admire greatly. Two of them, in fact, are people who are the driving force of a new, local nonprofit organization, Share Today Shape Tomorrow, that I had been asked to be a part. (Please see the About page of ST^2 for specifics.) I am very, very happy and proud to be part of ST^2 and to help its development along. I take this as a sign that I must be doing something right. I have always said that I am aiming to live a life of purpose and meaning. This is also the perspective I hope both my children have come to appreciate and take on themselves. I am thrilled to further this personal goal of mine while serving others through ST^2. 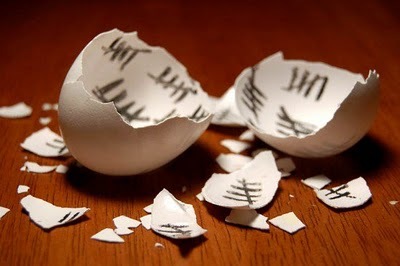 Freedom Egg. Image from Serene is My Name, Not My Life! Today is Easter Sunday 2014. Amidst the chocolate-covered marshmallows, cute, fuzzy chicks and bunnies, springtime dresses and hats, and jelly beans, I want to take a moment to consider on this blog the recent news of the Vatican’s seeming reversal on liberation theology by welcoming Rev. Gustavo Gutierrez with open arms. Huzzah! Before I even had an inkling that Communist or Marxist points-of-view existed, I was exposed to the social teachings of the Roman Catholic Church. I had begun my formal education at a Catholic school in the Philippines, so the principles and teachings of the faith are huge influences on me. I was a teen when I became aware of liberation theology, the Communist movement in the Philippines, and the nationalist fervor that served to answer the social, political, and economic inequities in Philippine society. My drive for social justice is not fueled simply by my formative years in a poor, developing nation or by purely political or intellectual philosophies. The heart of my desire for justice is born from religion. Roman Catholicism, to be exact. Liberation theology, to be even more specific. Like many, I try to follow the path to God, a path of love and righteousness, by following a path of social justice. Because of this, the Easter story, to me, is a story of liberation from oppression. Christ’s Resurrection is humanity’s redemption. Like Rev. Gustavo Gutierrez, I hope to live a life that embodies my Christian faith. It’s a path that is fraught with temptations and difficulties, yes. But it is also a way of life that is full of purpose and meaning. The Loss of Hope | Virtual Dave…Real Blog. I have made a career of calling people to service. In the classroom, on the web, on stages around the world I have tried to equip an army of the hopeful to improve society. I never made a promise to that legion that our cause was guaranteed, or easy, or simple. But I did try and give hope. That hope continues with or without my cancer, or my very life. But while I have the ability to put towards to it, I will do so with hope. I am very proud, and hope-filled, to call myself among those who are answering your call, Dave. I will never, ever forget what you told me when I was searching for my research agenda. It was as if you knew, you knew, that what I was actually, really looking for was my life’s purpose. We are gladiators. I salute you. Championship fight between Cassius Clay and Sonny Liston: Miami Beach, Florida. February 25, 1964. Image from Flickr. Aaron Swartz and Too-Comfortable Research Libraries – Library Hat. Some good questions from Bohyun Kim. Let’s answer them. Are our academic and research libraries fulfilling their civic duty by providing access to information? Or are they too comfortable? I expect more from our libraries. Do you?